Do you Feel Delight at the Sight of Chocolate? If you are a chocolate lover, The-Power-of-Chocolate, can be overwhelming. It actually has properties that are good for one’s health. The power-of-chocolate can be magnetic because of biological, psychological and social stimuli that make it extremely compelling.Adding chocolate to ones romantic life can make it delicious in many ways. Chocolate in itself has some amazing properties that can be good for one’s mood and health. Alkaloids are amino acids in chocolate that react with biological activity. Theobromine and phenylalanine are the two main alkaloids in chocolate that affect the body. In addition to Alkaloids chocolate also contains flavonoids. 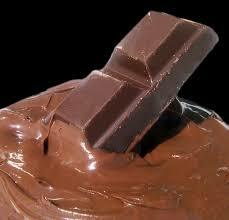 The phenylalanine in chocolate is anticipated to increase the levels of mood-related chemicals in the brain. The neurotransmitters in the brain affect our mood and sense of well-being. The primary neurotransmitters in phenylalanine are serotonin, norepinephrine and dopamine.discomfort and feel better. Phenylalanine has also been associated with the feeling of falling in love. Phenylalanine speeds up the flow of chemical information between nerve cells, particularly serotonin, n\ norepinephrine and dopamine. The dopamine is involved in the experience of pleasure whereas the norepinephrine is accountable for that energized and euphoric feeling that new lovers experience. Flavonoids act as antioxidants in the body. The theobromine increases alertness, expands blood vessels , function as a diuretic as well as stimulates the heart. Flavonoids work as antioxidants in the bloodstream. Antioxidants assist fat from oxidizing and clogging the arteries, a very important factor in preventing the buildup of plaque that can lead to clogging of the arteries which is one of the major causes of heart attacks. Adding endorphins and serotonin together can be a quiet powerful mixture making the power-of-chocolate irresistible. The reduction of pain, combined with the feelings of pleasure and reduction of pain and anxiety. Thinking of the physiological pleasure one can get from chocolate, in addition to the lure of the smooth, rich taste of chocolate which delivers a sensory pleasure to the taste buds. It is not hard to see how chocolate can be used to bring lovers together is a delicious sensual experience. The sweet and decadent indulgence of chocolate is a food that many have come to desire and enjoy for many years. The reason why so many of us will now and continually enjoy the pleasures of chocolate brings is that chocolate makers continue to make it more appealing , developing richer types that melt in the mouth continually becoming easier to melt in ones mouth as well as the increasing number of delicious variations.